Some people have been a bit worried that the changes in the Moodle 2.0 file system would stop teachers FTPing files up into Moodle to use in their course. Now these changes are massive improvements, but they seemed to have blocked the normal approach to uploading lots and big files with FTP. However this is not the case. Now although it has stopped ftping files into the course area of Moodle, there is a nice easy workaround, which possibly is easier to manage longterm. In a previous articles I have focused on how the repository API can work with GoogleDocs and Flickr. When files are on other sites the use of the API is obvious. However, there is a use for this powerful API which may not have been as obvious. One of the options in the repository section for admins is “File System”. Once enabled, this creates a folder called repositories in the moodledata folder so you have moodledata/repositories. Then you can go ahead and create folders for each teacher, or course or however you want to structure the files, and give the content creators (probably the teachers) upload permissions to the folders using FTP or whatever method you allow. The Moodle 2.0 admin can then add those directories as sources for files in the file picker. The insertion of an image into a Moodle course using those uploaded files. Hi. I need help pretty badly. I have created a course in udutu. It has three units that contain, video, audio, slides, pdf files and so on. Each unit varies in size from 150mb to 350mb the learners are not going to have any issues because within the units the video audio and pdf documents are broken up into much smaller pieces. a learner will see a little video in one slide, answer a couple of questions in the next slide, downf load a pdf file of 150kb in the next. So they don’t have anything large to download at all. Trouble is the udutu files are still too big to upload the moodle course that I have created. I have created the moodle course with three topics. So one of the udutu units will be loaded into one of the topics. I have created repositories in moodledata and I am uploading all the course files into the three separate repositories unit 101 102 and 103. 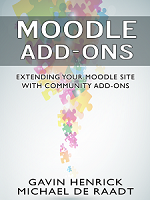 What I need to know is how do I get the topics within the moodle course that I have set up connect to the repositories so that it will work. Got to say the head is in the gas oven at the moment.